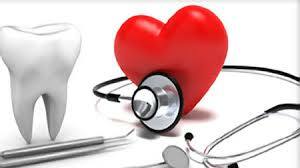 Recent studies have found that heart issues and oral health are closely related. If you suffer from cardiovascular disease or any number of other heart problems, it is important for your dentist to be aware of this. Cardiovascular disease and other issues related to the heart inevitably affect other systems of the body. If you have heart disease or some other kind of heart ailment, your dentist will need to take some extra precautions when treating you. In some cases, patients who were born with heart defects, suffer from heart disease, or have recently undergone heart surgery (of any kind) should take antibiotics before or after some dental procedures. The American Heart Association recommends pre-treatment antibiotics for dental procedures on patients who suffer from certain heart complications and heart disease. Any procedure that involves moving the gums or tissues around the tooth or incisions should include a round of antibiotics. Antibiotics before dental treatments are recommended for people who have endocarditis (an infection of the heart), a heart transplant, or artificial heart valves. These antibiotics are an extra precaution against infections that could develop during or after the dental procedure. In some cases, dental patients who suffered from heart conditions at birth may also be required to take antibiotics before or after some dental procedures. People who were diagnosed with Cyanotic heart disease or were born with a heart defect, especially those repaired with synthetic materials, should discuss antibiotics with their dentist. It’s important to note that some patients with heart conditions are not required to take antibiotics. People who suffer from congenital heart conditions, mitral valve prolapse, bicuspid valve disease, calcified aortic stenosis, and acquired heart valve dysfunction typically do not need any additional antibiotics. However, they should consult with their dentist carefully before undergoing any dental surgeries. It is imperative that you speak with you dentist in detail about your overall health. In order to safely treat your mouth and teeth, they need to know if you have heart disease or any other heart-related issues.